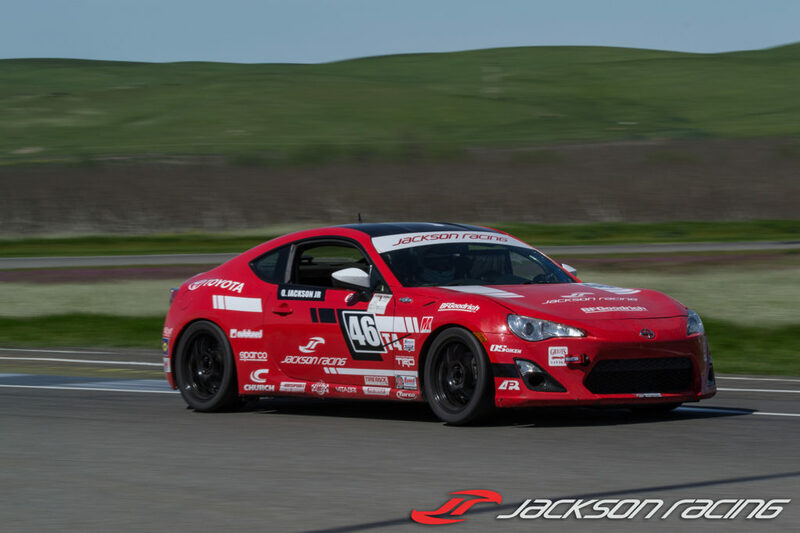 Chino, California (July 05, 2016) – Jackson Racing heads to the Final Round of the Majors Tour. 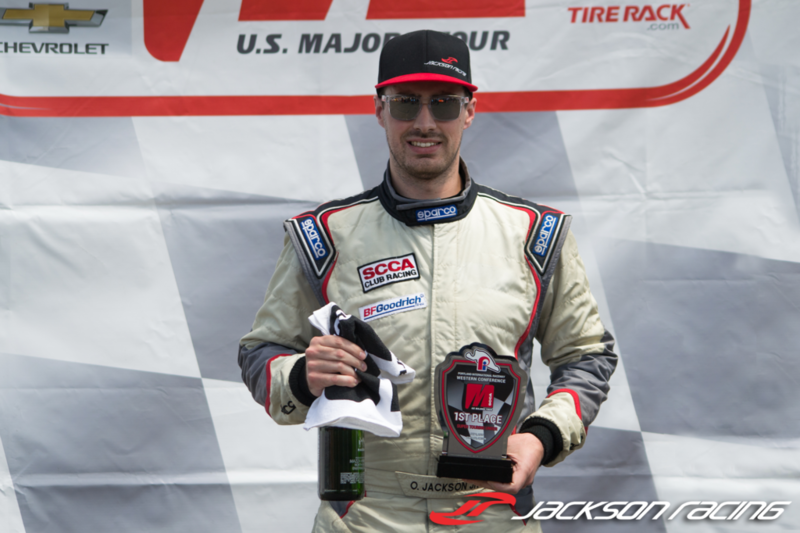 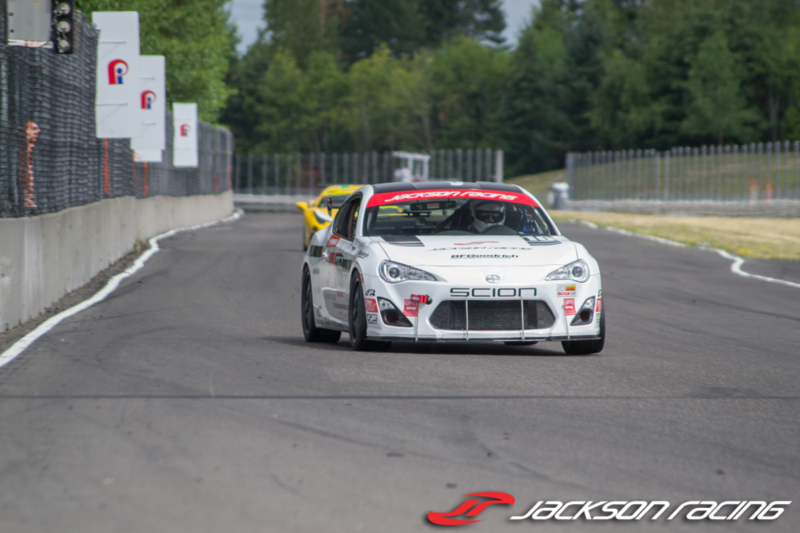 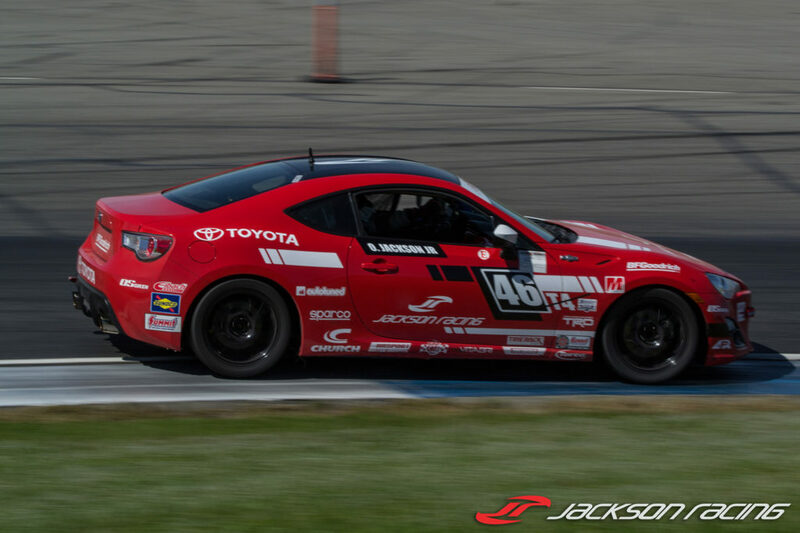 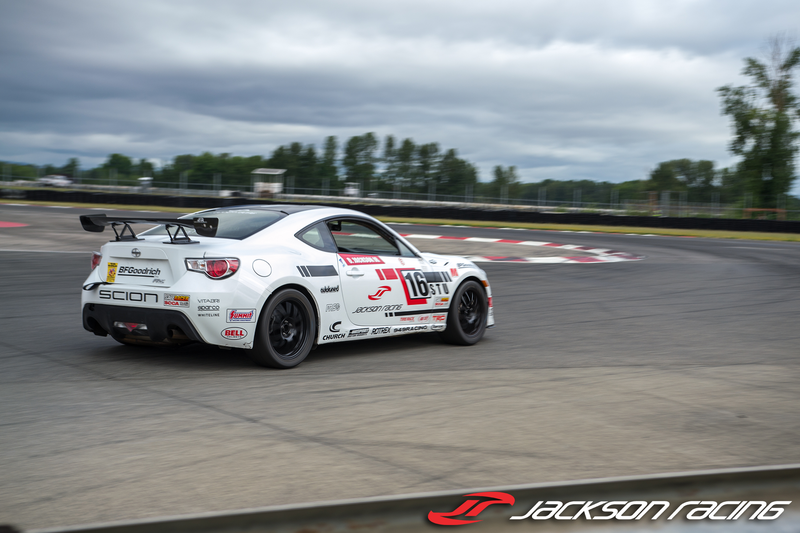 The Jackson Racing team headed up to the Pacific Northwest again for the last stop of the SCCA Majors Tour held at Portland International Raceway. 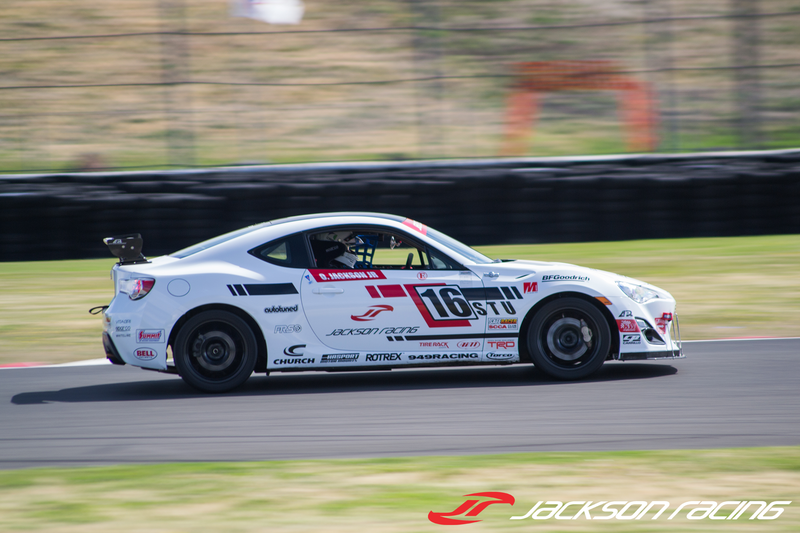 Held over the 4th of July weekend, it always makes for a fun trip filled with friends, laughs, and racing. 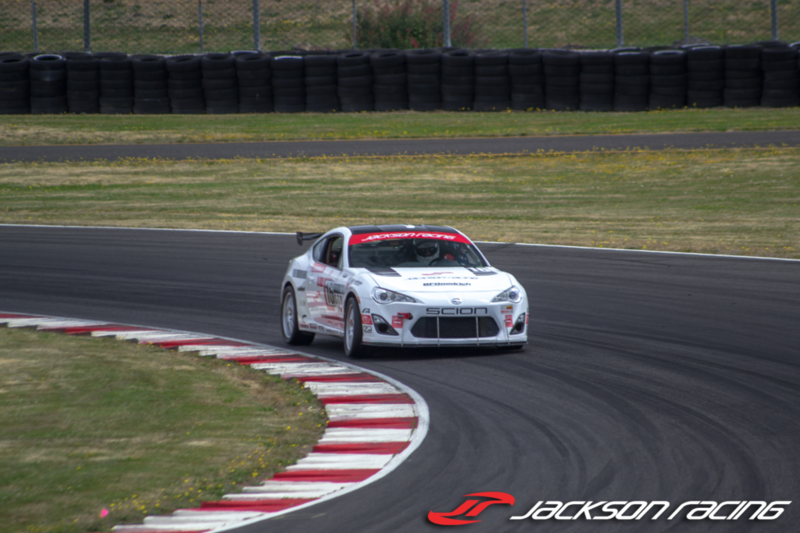 Friday qualifying came and the weather was perfect! 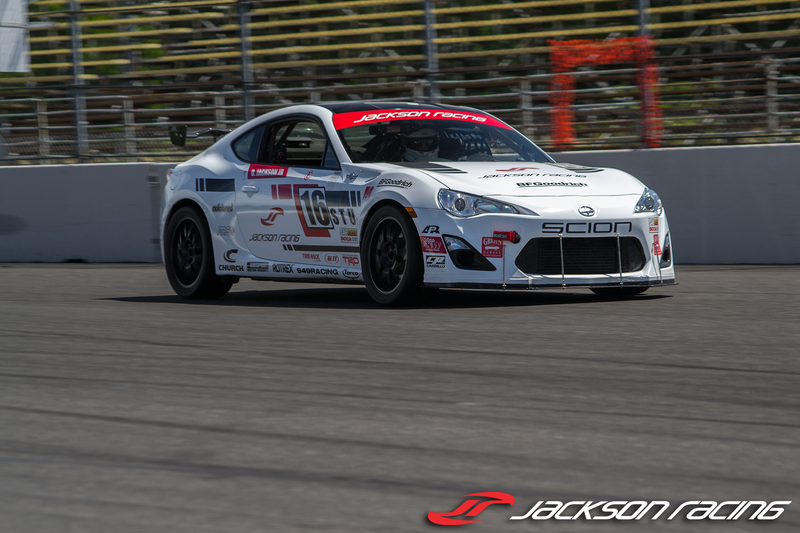 Oscar Jackson Jr. set out on the track and threw down a smoking lap time that landed the FR-S on pole by several seconds. 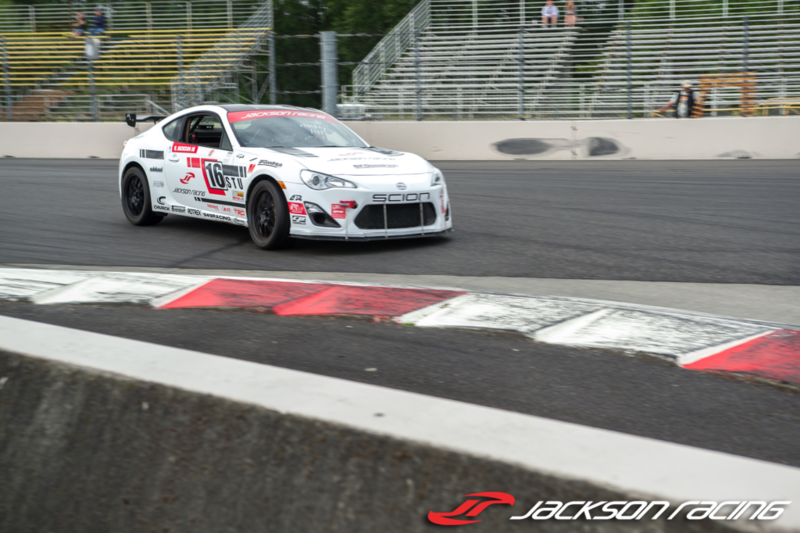 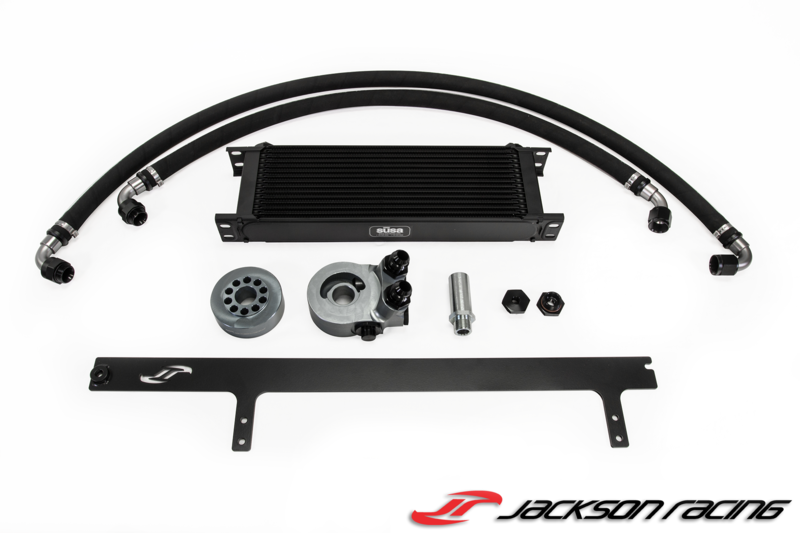 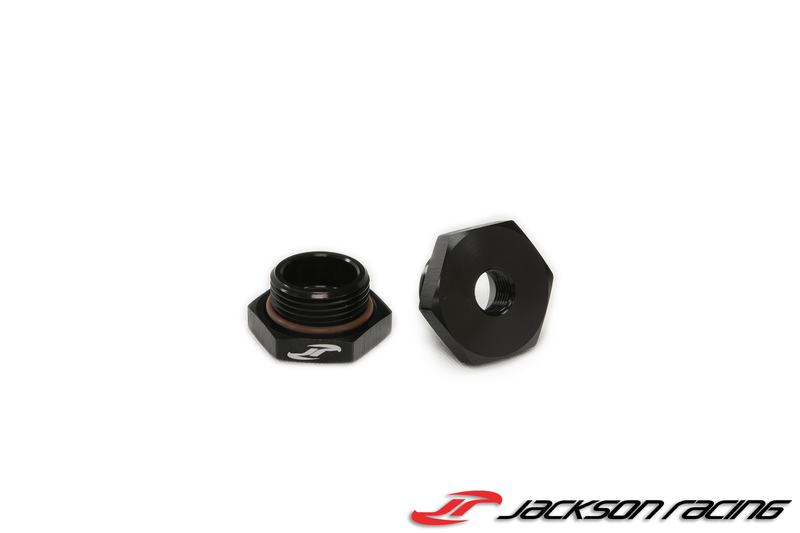 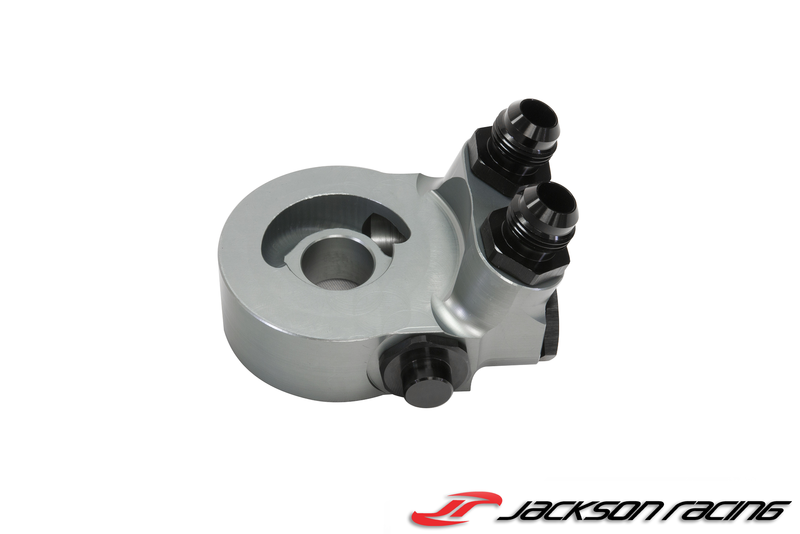 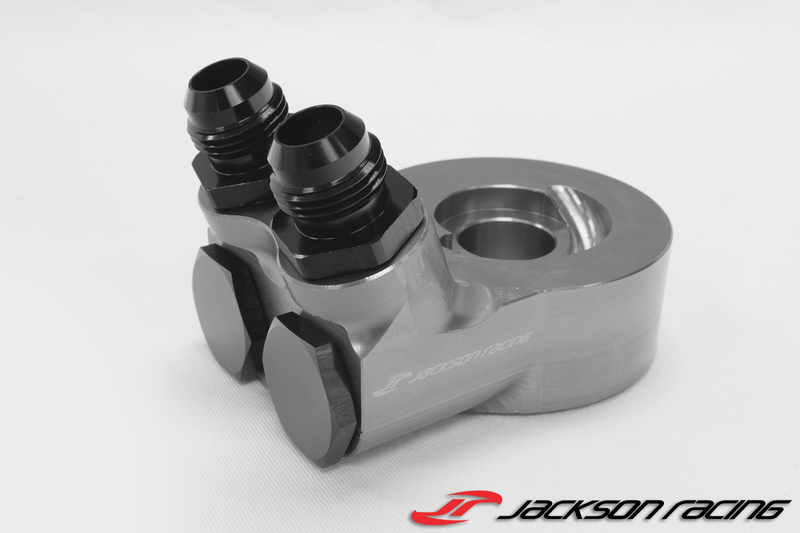 The Jackson Racing Supercharger continues to work perfectly in all the different track conditions. 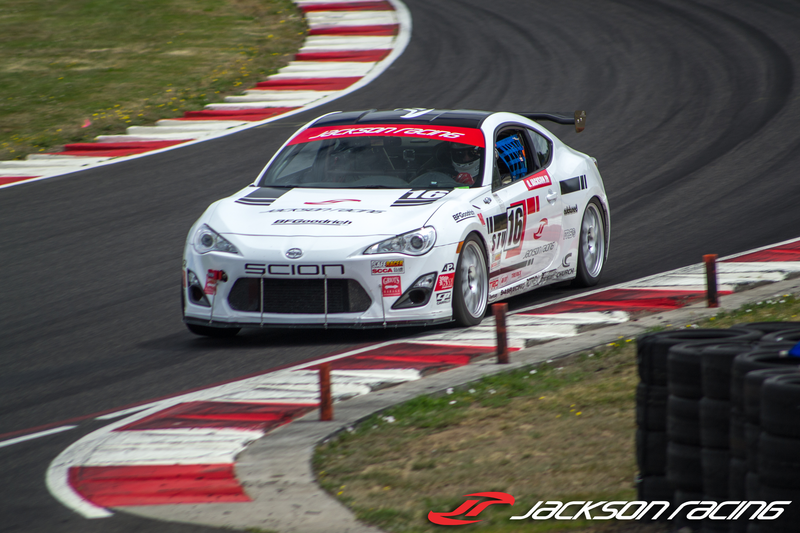 Saturday’s weather was just as nice, and would make for a great race. The green flag dropped and the cars were off! 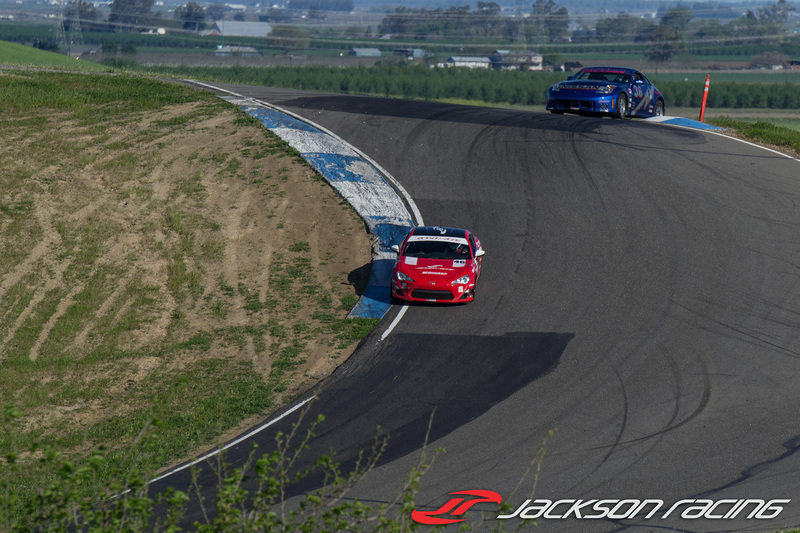 There was a multi car collision in turn 1, which resulted in one of the cars oiling down the track. 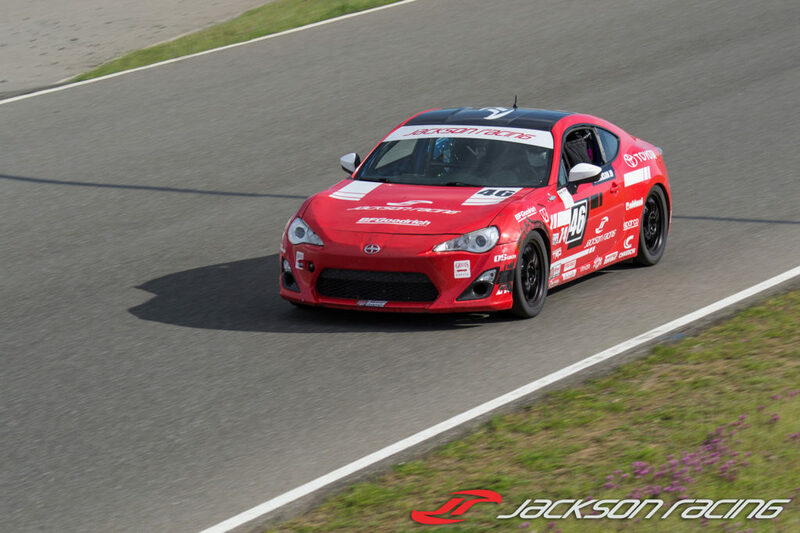 The race was stopped for cleanup and rescheduled for Sunday morning. 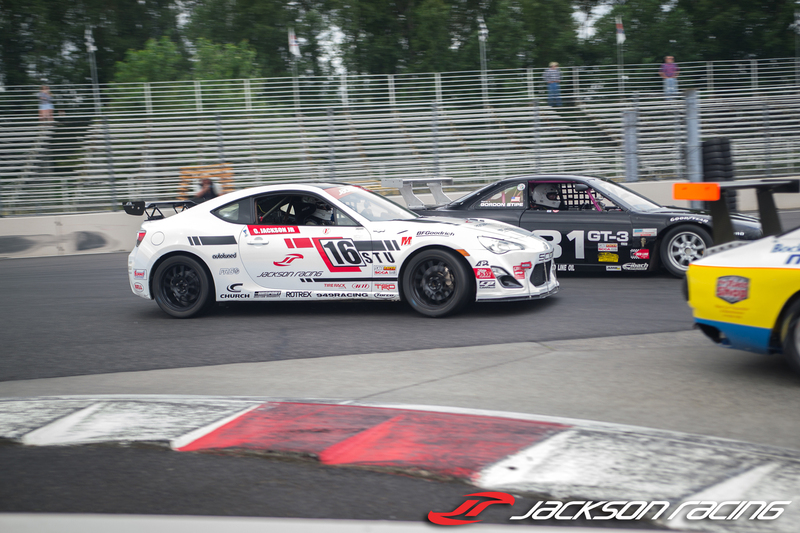 Sunday was set to be a busy day, since there would be 2 STU races nearly back to back. Oscar Jackson Jr. set out from pole in Race 1 and quickly put some distance between the other competitors and drove to the win! 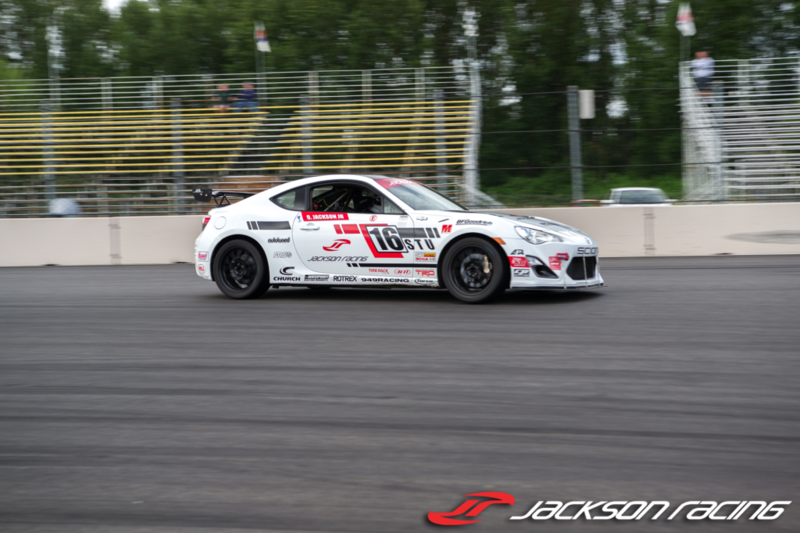 The Jackson Racing FR-S came back to the pits for fuel and fresh BFGoodrich tires and went out to the grid for Race 2. 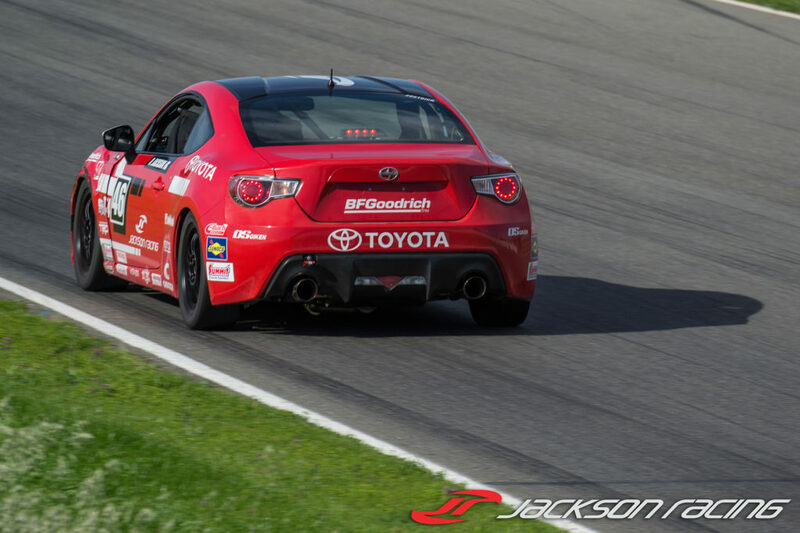 Another start from pole and again Oscar Jr. was out in front. 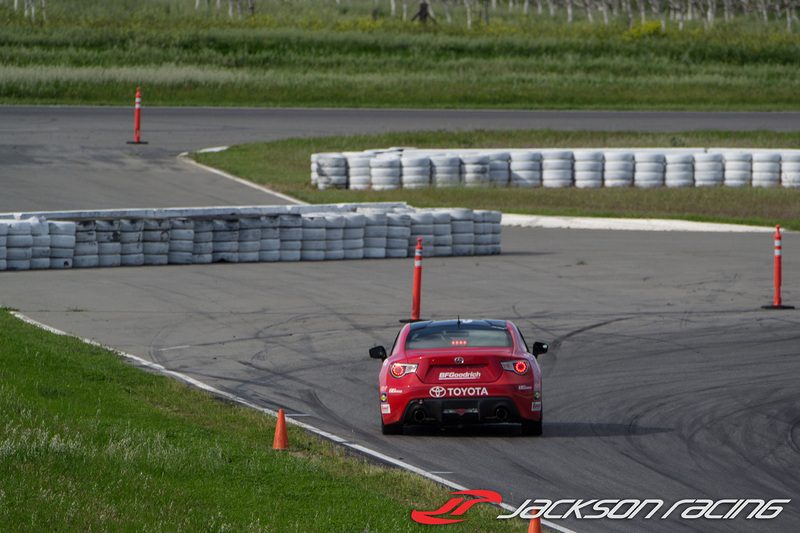 After a few laps there was a full course caution. 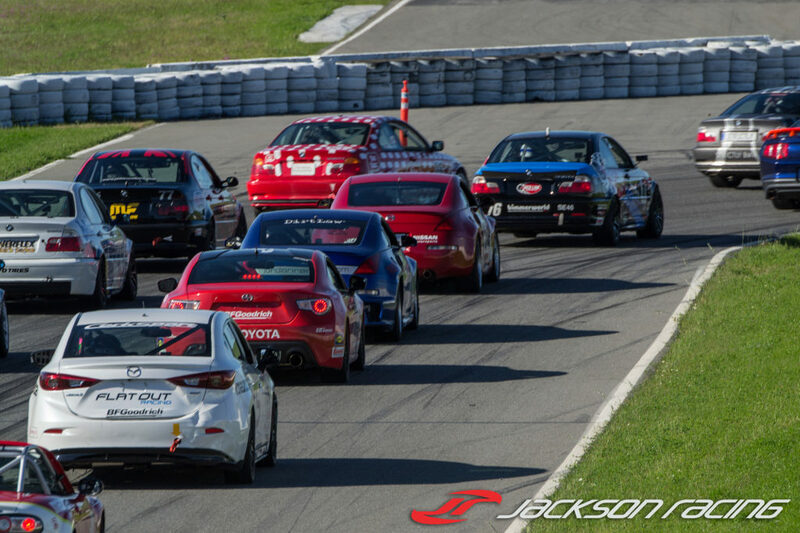 This time the track was cleared quickly and the race commenced. 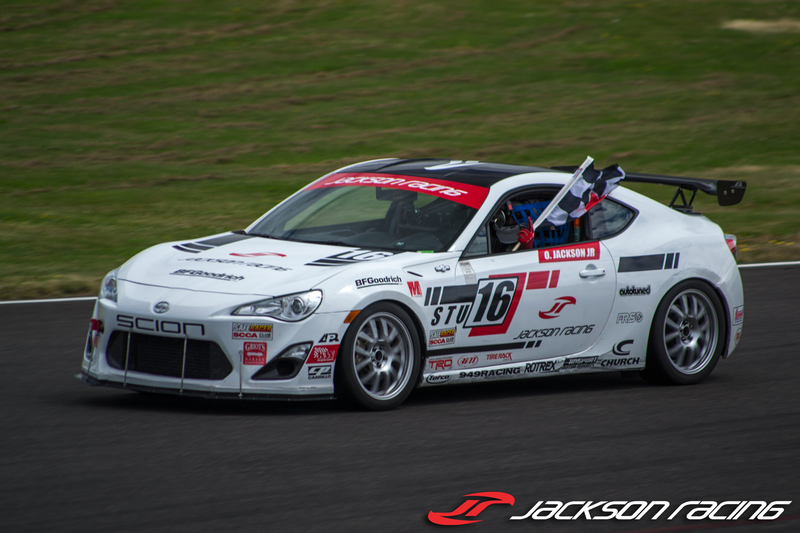 Oscar Jr. and the Jackson Racing FR-S kept the push after the restart and pulled off another flag to flag win, the 11th win on the season. 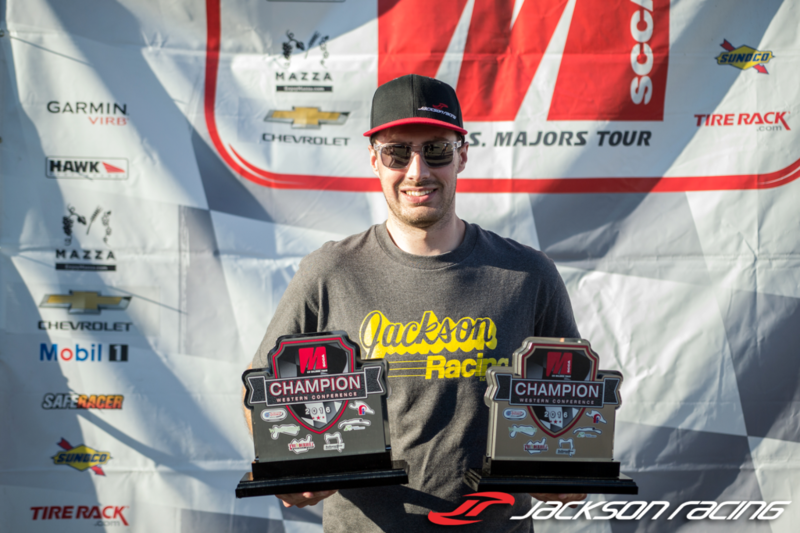 Besides winning the races, Oscar Jr. was presented with his Championship trophies for both the Super Touring Light and Super Touring Under classes. 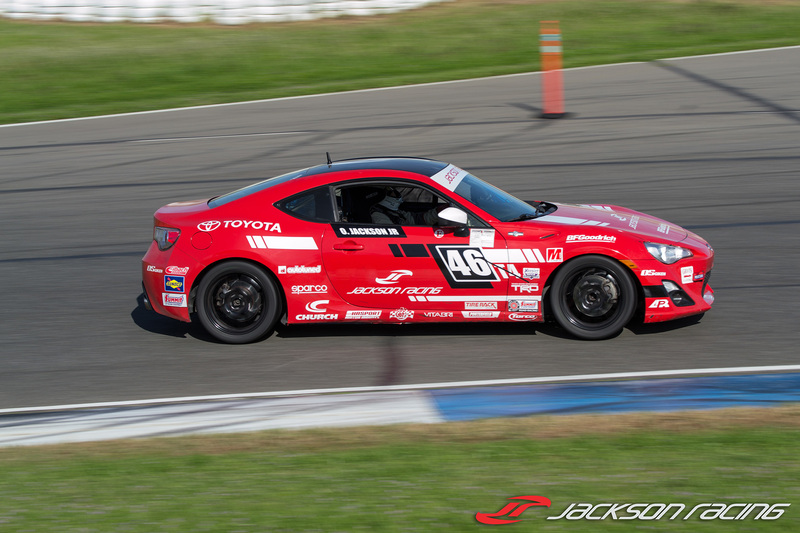 It was a great season for Jackson Racing in the SCCA Majors Tour. 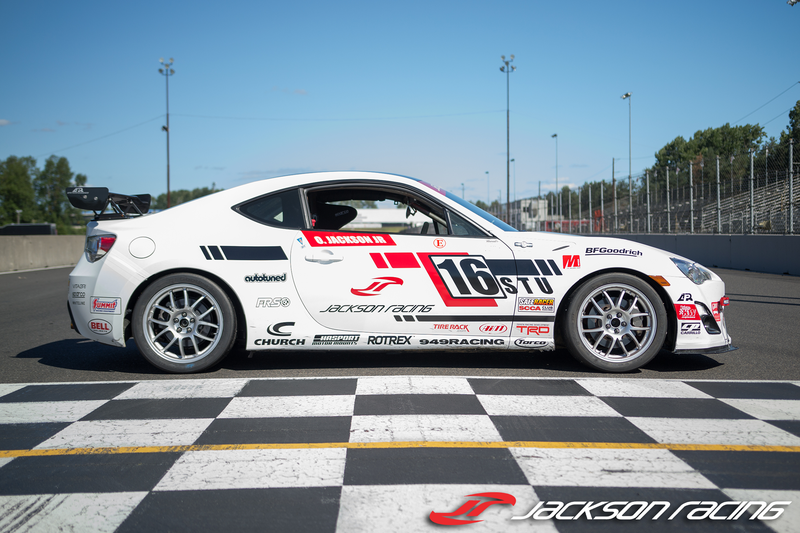 Now the team prepares for the the SCCA National Championship Runoffs at Mid Ohio in September, with the hopes of bringing the National Championship home!